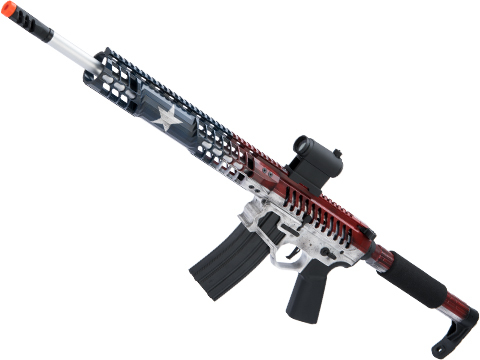 Based in the great state of Texas, F1 Firearms has become one of the premier brands in semi-automatic sporting rifles. 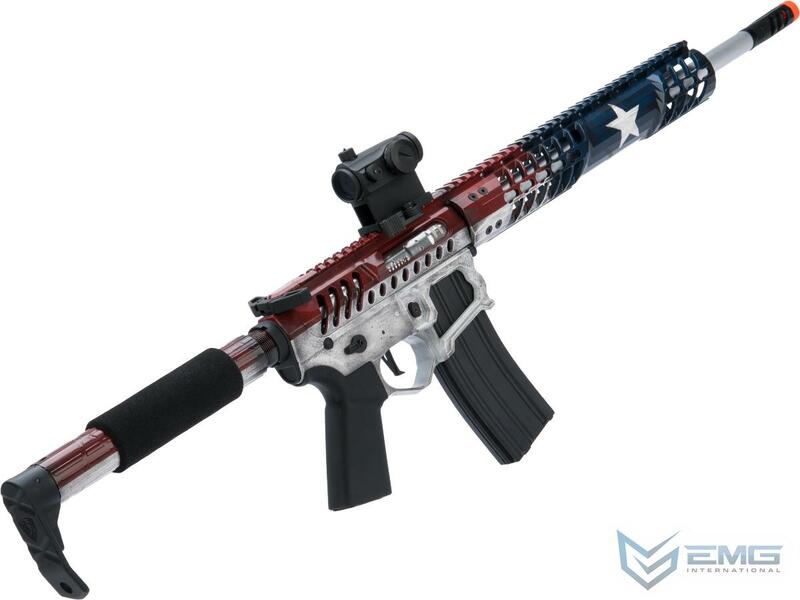 Utilizing premium materials and cutting edge manufacturing processes, F1 produces firearms that are lighter, stronger, more accurate and built to more demanding tolerances than their competition. 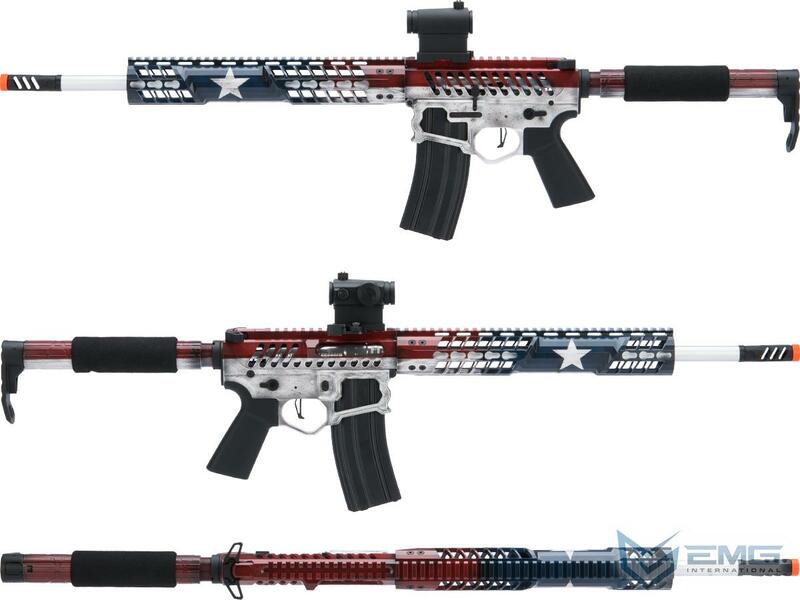 F1 Firearms are designed to stand out from the crowd, with an F1 rifle, not only will you look better than the rest, youll shoot better than the rest. 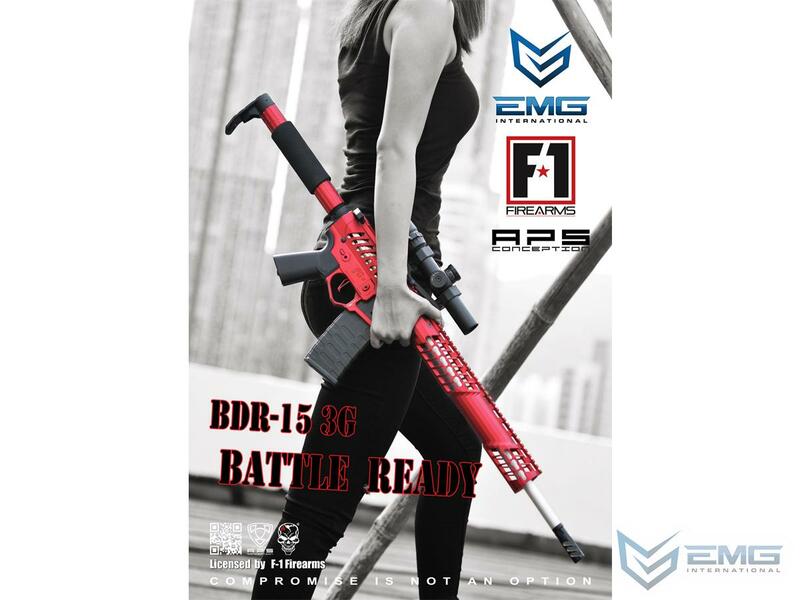 The F1 Firearms BDR-15 3G is a rifle unlike any other seen before. Designed and built to be as light as possible without sacrificing any of the legendary F1 performance. The skeletonized receiver carves away at the rifles overall weight, all while not sacrificing any of the platforms strength and reliability. The C7K Contoured KeyMod handguard allows the shooter to add whatever accessories they deem necessary without the monumental weight of traditional railed handguards, the full length top rail provides a vast tract of space to mount optics, night vision or other accessories. EMG has teamed up with F1 to produce the EMG F1 Firearms BDR-15 3G AEG training rifle. Built to specifications provided by F1, the BDR-15 retains all of the design and styling cues of its big brother, giving the user a unique and bold platform. Equally at home on the field or in a competition setting, the BDR-15s high efficiency gearbox provides superior performance in all settings. From the skeletonized receiver, to the KeyMod compatible C7K Contoured handguard, the EMG BDR-15 is a faithful recreation of F1s flagship AR15 line.